Oppo can be considered as one of the new players on the smartphone market and the thing that makes Oppo unique is that the company is almost familiar to the customers. The promotion that the company gave was brilliant and they have achieved what they really wanted. 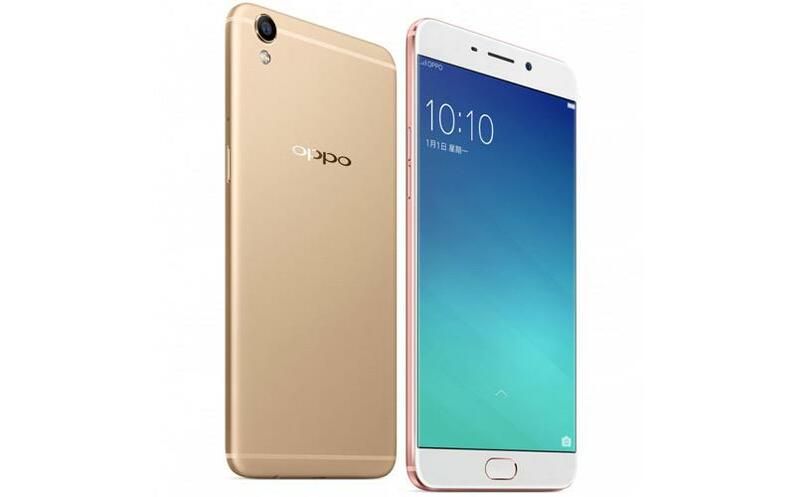 They have recently released a new device which is Oppo F1s, the selfie expert. As the name says, the new device is actually a selfie expert. Let's have a look at the key feature of the device first and then we can move on to the others. The device comes with 16MP of front facing camera for the amazing selfie experience for the users. The front facing camera performs well when it comes to taking shots at low lights. It features f/2.0 Aperture which is quiet good. The 'screen flash' feature is also included and this time it is more powerful than the previous one and it will result in more clear and good images while in poor lighting conditions. The camera app is almost same too, the user will be provided with multiple modes for taking shots. You can take the picture by touch, voice or a palm gesture and these features will come in handy for sure, these actually completely reduce the option for a camera button to maximum. The one on the rear which sports 13MP also gets the job done on capturing detailed landscapes and macroshots on low light and all. You will be provided with an 'expert mode' for fine tuning your pictures and they are for those camera lovers out there, make sure to use those to get the maximum result. The device also does pretty good auto focusing and captures the shot in a blink. And that's all about the camera. Talking about the build of Oppo F1s, the device is more stylish and well built and gives a more premium look when compared to the previous Oppo devices. The slim profile given to the device also gives us a great in hand experience and it's comfortable to carry around. The new Oppo F1s comes with 5.5 inch IPS display which vivid screen and offers good readability on sunlight. The device comes with a resolution of 1280*720 and it would have been better if they provided full HD display considering its size. The device comes with latest Corning Gorilla Glass 4 and will keep the screen together even if you drop from selfie heights. The device is powered with Octa-core Mediatek MT6750 SoC chipset along with 3GB of RAM and 32GB of inbuilt memory. It also sports a dedicated microSD slot which supports up to 128GB and you won't have to sacrifice a SIM slot for it. It runs on Android 5.1 Lollipop with latest Colour OS 3.0 skin on top of it, which resembles the iOS style on task manager and some of the app icons. It would have been better if Oppo would have gone for Marshmallow, since the Lollipop is becoming outdated. The performance of the device with an Octa-core processor and 3 GB of RAM is quiet good and there is a little bit of heating when it comes to gaming and recording videos. It also features a finger print scanner and the device response is good on capturing it. The sound of the device is fairly loud thanks to the software audio enhancements. It comes with a battery of 3075mAh and it will keep your device alive for more than a day for ideal use on single charge. One thing to be noted is that the device lacks the feature of Fast charging and it may take a bit time to charge the device even if you will be provided with a 10W charger. Overall, the device will perform well on the market and the specs are that much good when it comes to the price. There are some cons to the device and it can be negotiable. It offers good camera feature, solid battery and powerful chips. We are impressed and this will surely fit into the slot, in this price range. The device will be available for purchase from August, 2016 and will be priced at $250, that is around Rs.15000-16000. The price would have been a bit competitive but let's wait and see if the device performs well in the market too.